Glittering gold coat, snow white mane and tail…what else could a girl ask for! Probably made most popular by Mr. Roy Rogers, palomino horses are very popular in the equestrian community. OK, so we all know a good horse is never a bad color but if you can get a good one AND it’s palomino, well isn’t that the icing on the cake! 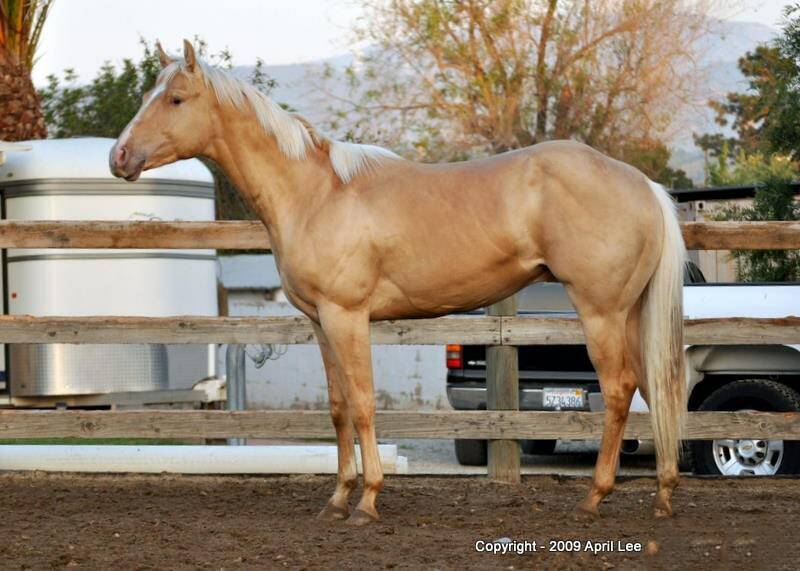 All true palomino horses have a chestnut base coat with one copy of the creme gene (nCr). Of course, there could be other modifiers as well like a paint gene for palomino pintos or a LP gene for a palomino appaloosa. Regardless the base color will be chestnut (ee) and one cream (nCr). Some horses that look Palomino actually are not genetically palomino. A horse can be flaxen chestnut, which is a really dark red with a white mane and tail. They can also be champagne or pearl which are caused by different dilutions, not the cream gene. If you want to find out whether or not your horse is a true palomino, you can have him tested for the cream gene at any of the major equine DNA testing labs. Check out our article on horse DNA testing for more details on how that works! Let’s look at some of these colors in more detail! Most palominos are born with a very light colored foal coat like this cutie below. Foals that are going to grow up to be really dark, like a chocolate palomino, can be born darker though. 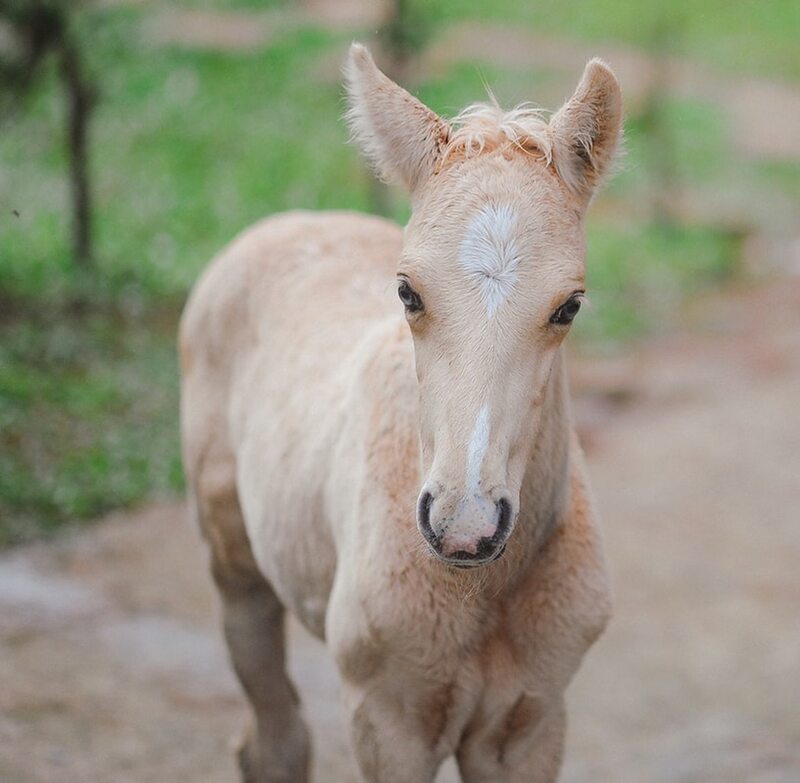 Usually palomino foals will have blue or light colored eyes that will change color as they grow. While we usually think of palominos as a horse with a deep gold coat and white mane and tail, some palominos never get that dark gold color. Instead they stay a light cream color. When choosing a palomino horse name for a light colored horse you might want to consider names that make you think of things that are light and airy like maybe Buttercream. This light palomino mare was named “Paloma” which means Dove in Spanish. The golden palomino is the color most people think of when someone mentions a palomino.The dark yellow coat provides an awesome contrast to the stark white mane. Golden palominos usually get lighter during winter when their long winter coat grows in. This palomino mustang gelding below is almost done shedding his winter coat so you can see the contrast between winter and summer coat more easily. On the very darkest end of the spectrum is the chocolate palomino. These horses can be so dark they look brown which is where they get their name.Normally though, they just have a more sooty appearance like they rolled in ashes or some liquid milk chocolate! They still have the hallmark white mane but sometimes their mane and tail will have black hairs mixed in as well. Genetically speaking, a palomino champagne like the one below isn’t a true palomino. This horse is actually a chestnut with a champagne gene. The champagne gene dilutes the red color to make the horse look like a palomino. It is also what causes that awesome shine! This horse is a foundation quarter horse I once owned. During the winter, he’d get super light just like the light palomino above. The Pearl gene behaves similarly to the champagne gene. It dilutes a red horse to a light, super shiny cream color with blue eyes. Pearl horses are common in the Andalusian and Lusitano breeds but occur in other breeds as well. So when you get your DREAM horse, that shimmering golden palomino, what do you call him or her? 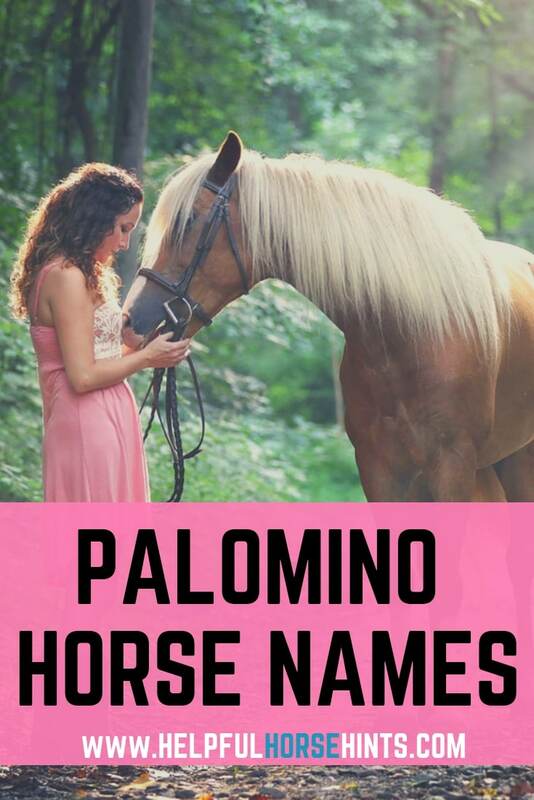 We’ve come up with some palomino horse names we think you will like! Having trouble coming up with a name for your palomino horse? 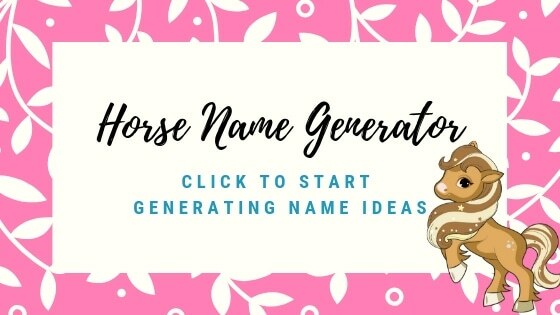 Try our palomino horse name generator! 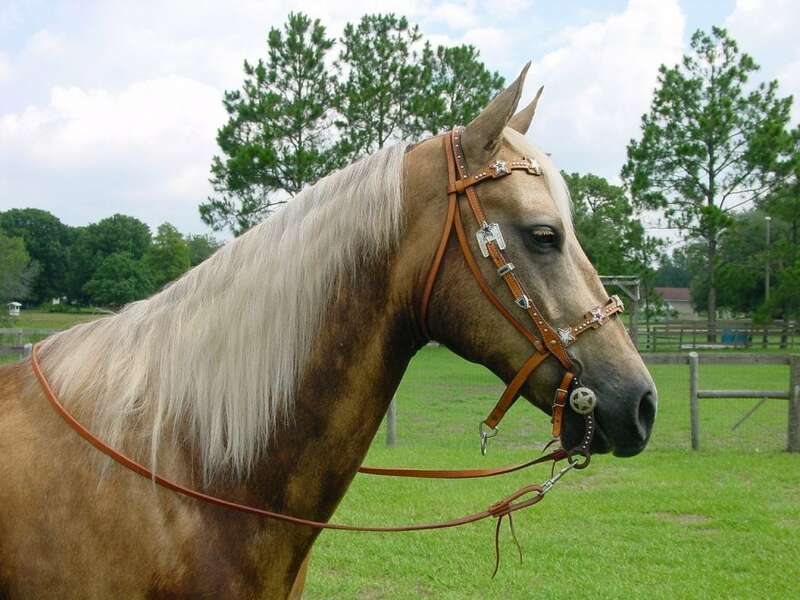 Do you have a palomino horse? What did you name him or her? 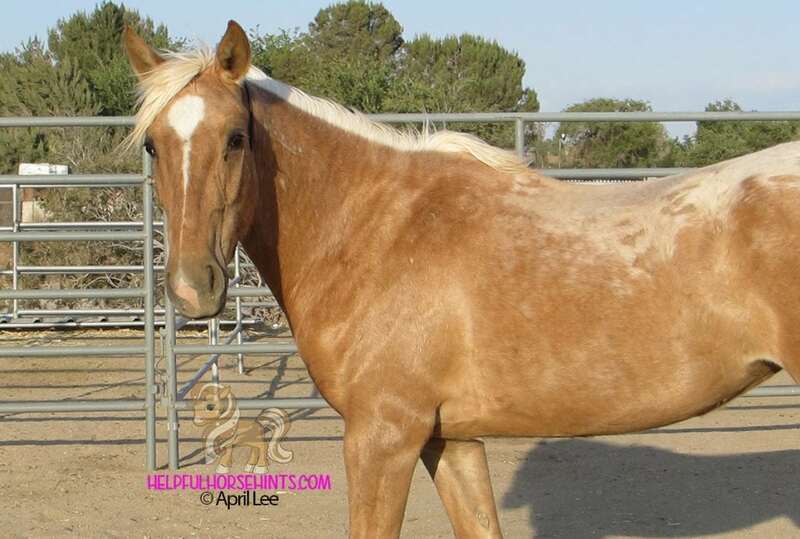 Leave your ideas for Palomino horse names in the comments below. As we have time we’ll go in and update this list to include them!! If I had a palomino horse with a white blaze down her face, with a white mane, a white tail and four little white Socks I would call her Candy and Cream, or just Candy for short. Thanks for the input Louise! Now that you mention it I really like “Cappuccino” and “Latte” as well!! I’ve added your suggestion for a Palomino mare above!